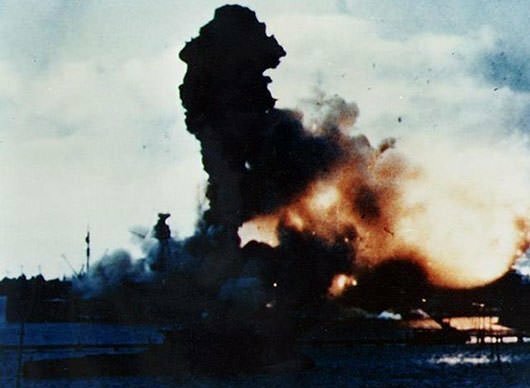 On the 7th of December 1941, Japan conducted a surprise attack against the US naval base at Pearl Harbor, Hawaii which damaged all their 8 battleships and killed more than two thousand Americans. The attack on Pearl Harbor had widespread consequences the most important one being that it led to America declaring war against the Axis powers. Know more about the event which changed the course of the Second World War through these 10 interesting facts. 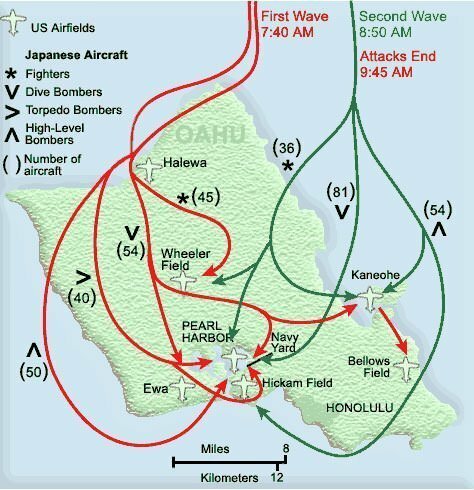 The planning for the attack on Pearl Harbor began in early 1941. It was the brainchild of Japanese Admiral Isoroku Yamamoto. 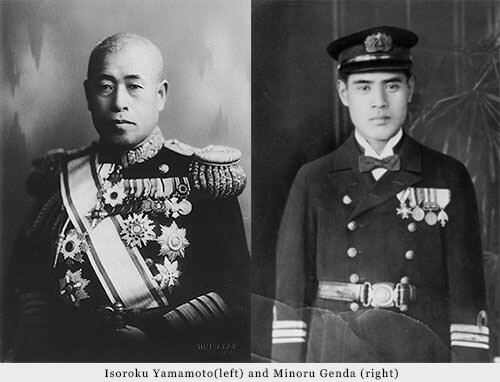 Strategic and tactical planning of the attack was carried out by Rear Admiral Ryūnosuke Kusaka with assistance from Captain Minoru Genda. Minoru Genda was also responsible for training the forces in new techniques required for the attack. 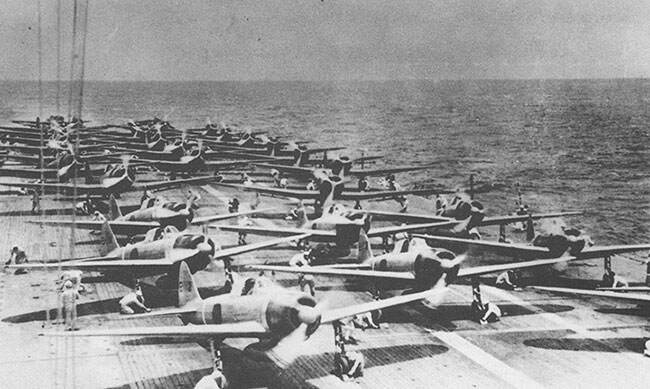 The first attack wave led by Commander Mitsuo Fuchida consisted of 183 planes. Army radar picked up the incoming planes but when Lieutenant Kermit A. Tyler was warned he presumed it was the scheduled arrival of six B-17 bombers. Although the operators had never seen such a large formation on radar, they neglected and never told Tyler of its size while Tyler never informed them that six B-17s were due for security reasons. Fuchida’s lead dive bomber reached Pearl Harbor to find the defenses unmanned, no AA fire or fighter patrols. He then sent the famous “Tora, Tora, Tora,” message indicating that complete surprise had been achieved. The message was used as title of a well-known war film. 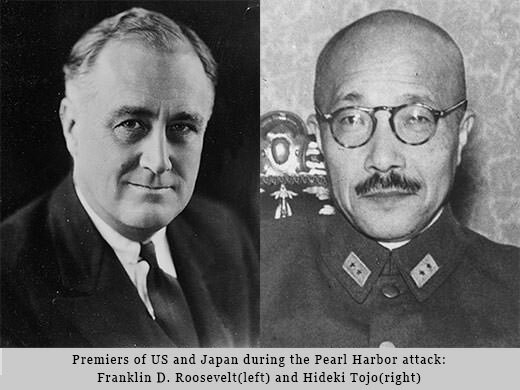 Conspiracy theorists doubt that America could have been so woefully ill-prepared; suggest that America forced Japan to attack through their severe conditions like getting out of China; Japanese codes were broken and President Roosevelt and high ranking officials knew about the attack in advance; and they maneuvered Japan to attack first. They say all this was done so that America could enter the World War by the back door, and against the popular mood of the country. Several writers, including journalist Robert Stinnett and retired US Navy Rear Admiral Robert A. Theobald have argued in favor of this Pearl Harbor advance-knowledge conspiracy theory. However, most mainstream historians have rejected it due to several reasons including America’s unpreparedness for war at the time and it’s ‘Europe first’ strategy. 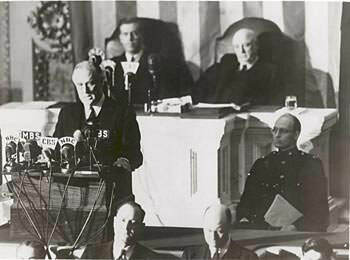 The day after the attack, United States President Franklin D. Roosevelt delivered his famous Infamy Speech to a Joint Session of Congress. In the first sentence of the speech Roosevelt described the previous day as “a date which will live in infamy”. 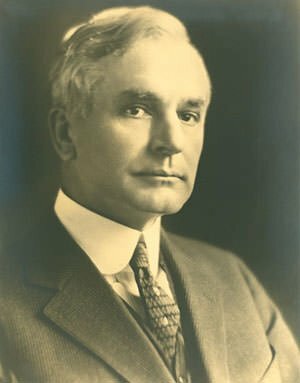 He called for war on Japan and within an hour of the speech, Congress passed a formal declaration of war against the Empire of Japan. 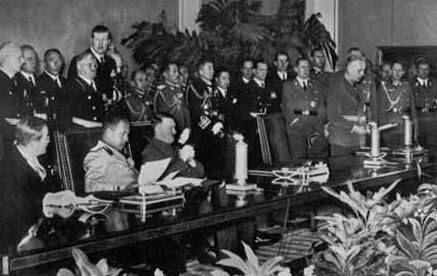 On December 11, Germany and Italy declared war on US and US issued a declaration of war against them later that day. Hence America entered World War II which ended with the bombing of Hiroshima and Nagasaki.